To determine the cost of UPS Ground shipping, please enter the Zip Code of the shipping address you will use at checkout. Also called Lunge Feeding, one Humpback whale will dive beneath a school of herring and blow a helix of bubbles which confuses and contains the fish. 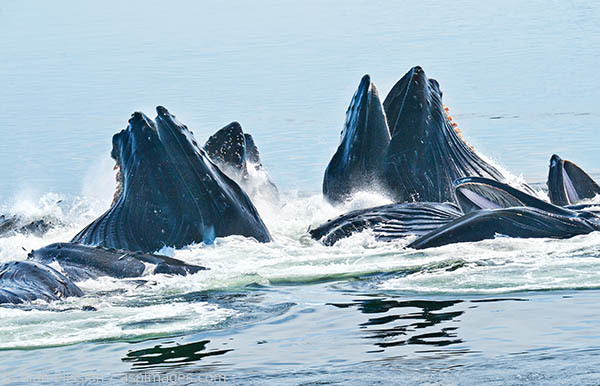 Multiple whales then come up in the center and feast on the herring in an amazing display of cooperative feeding.